Our history stretches all the way back to 1914. Since our first pupil more than a century ago, we’ve always focused on delivering lessons that grow our reputation for driving instruction excellence. With a fleet of excellent cars our DSA registered and qualified, Approved Driving Instructors provide the one-to-one tuition that helps pupils pass, faster. If you’re looking to pass your driving test in as short a time as possible, we offer an intensive driving course. The learning of the theory element of your licence can either be provided as a singular course, or your driving instructor can deliver this alongside your practical lessons. We also provide courses that advance your skills following a pass; these include: Advanced Driving, Pass Plus, Motorway Driving and Parking Skills. We will pick you up and drop you off, arrange a timetable of lessons around you (and your busy schedule) and provide a lesson price that leads the way amongst our competitors. 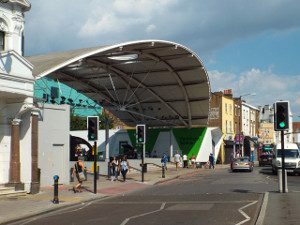 Ready to book your driving lessons in Peckham, SE15? Call us on 020 8166 5678 or visit our contact page. From the moment you drive your first few yards, to the day that you pass, you’ll have the same driving instructor; this ensures that your Lanes instructor knows exactly where you are in your journey to your licence. Our Driving School today have in-excess of 40 instructors – each are knowledgeable and experienced in tutoring all ages (our learners vary in age from 17 up to and above 70). They are trained to help you progress and to keep you calm and reassured throughout each lesson. Book your Lanes professional driving Instructor in Peckham, SE15 – you can call us directly on 020 8166 5678 or you can also message us through our contact page. Let’s face it, learning to drive is seeming pretty intimidating right now; for our female pupils, we understand that learning to drive with a male instructor can only add to your apprehension. Our female driving instructors are welcoming and understanding – they’ll ensure that your nerves are eradicated from your very first lesson. The Lanes School of Driving team has numerous female driving instructors in Peckham, SE15. Call us to book on 020 8166 5678or get in touch through our contact page. Manual cars may arguably offer the average driver more control, however we know that the manual gear changes and the chance of stalling understandably puts many a learner off. Our fleet includes several automatic vehicles for those who have chosen this option, with driving instructors who are just as experienced at teaching in an automatic vehicle, as they are in a manual. Book one of our automatic driving instructors in Peckham, SE15. Call our team on 020 8166 5678. Alternatively, you can book or enquire over on our contact page.